How do I apply for admission to Las Positas College? How much does it cost to apply for admission? How old do I have to be to attend Las Positas College? Do I have to apply for admission each semester? It has been more than a year since I took classes at Las Positas College. Do I need to reapply? What is my Student ID Number? What is my PIN? How Do I Get My Student ID "W" number? How can I get a college catalog? How do I register for classes at Las Positas College? Where can I find course descriptions online? Is there a website for the Bookstore? How much does it cost to attend Las Positas College? Where do I get information about transferring to a four-year university? Where can I find out about financial aid and scholarships? How can I get my grades? How do I find out about Distance Education/Online/Canvas courses? Can I get help with choosing a major? What do I need to do to obtain my A.A./A.S. degree? What do I need to do to obtain my Certificate? How do I set up an appointment with a counselor? Where can I obtain assistance with studying, learning, and physical disabilities? Is special assistance available to someone who is educationally disadvantaged? Any person who is a high school graduate or equivalent thereof, or who is eighteen years of age or older and who can profit from the instruction, is eligible to apply for admission to Las Positas College. We encourage students to use our online admission application system via CCCApply; however if you do not have internet access, you may pick up a paper application in Bldg 1600. Las Positas College does not charge an application fee. You are eligible to attend Las Positas College if you are a high school graduate or equivalent, or eighteen years of age or older. No. Students who are enrolled for the current term are considered continuing students and may have priority registration privileges for the following registration period. Yes. If it has been more than one year since you last attended Las Positas College or Chabot College, you are considered a returning student. You must complete an Application for Admission via the CCCApply website before you can take another class. After applying for admission via CCCApply, allow 24 - 48 hours for processing your application before attempting to register. If you apply in person or by mail, then allow 3-5 business days for processing before attempting to register. Once your application has been processed, you can register online using CLASS-Web, with your Student ID Number and PIN. Your Student ID and PIN numbers are used to access services on campus and are also used to log in to the online registration system, CLASS-Web. Please refer to the Student ID Numbers web page for detailed information about your student ID number. On the "Welcome to CLASS-Web" page, click on "Sign on to CLASS-Web" at the top left. On the User Login page, enter your SSN in the User ID field, and enter your default PIN NUMBER (this is automatically preset to your birth date, in the following format - MMDDYY (two digits for the month, two digits for the day, and two digits for the year), and click LOGIN. The next page may say "your pin has expired" - You will enter your birth date in the OLD PIN field, and then enter your own six numbers (no letters) into the NEW PIN field. On the next page, re-enter your NEW PIN number, then use the pull down menu to select a security question, enter an answer, and click SUBMIT. The next page may say "Terms of Usage" - read the page and click CONTINUE. When the page comes up and says "Welcome (your name) to CLASS-Web", go down to item #1 and click "What is my W Number". You can download the College Catalog as a PDF file from our website. You can get a catalog at the LPC Bookstore in Building 1300 on campus. After applying for admission via CCCApply, you can register for classes using CLASS-Web on or after your assigned registration date. Be sure to pay your fees online, by mail, or in-person within 10 days after registration. Course descriptions are found in our Academic Programs & Resources section. Simply follow the link from the top of the page, then click on Course Outlines, and search by department for the course number. Yes. You can visit the online bookstore to get the right textbooks, right now. Order your class schedules, catalogs, and textbooks online today. It's the easiest way to ensure you get what you need. Check out the LPC Bookstore website. Fees and tuition are determined primarily by residency. Please visit the Student Fees and Tuition page for information about cost of attendance. In determining tuition and enrollment fees, students fall under two categories: Residents and Non-Residents. Please visit the Admissions Requirement web page for detailed information about residency. Las Positas College is authorized under Federal Law to enroll non-immigrant alien students. International students with an F-1 visa can review information on admission and eligibility requirements at the International Students website. You can get information about transferring to a four-year university from our Transfer Center web site. Where can I find out about financial aid or scholarships? Please visit our Financial Aid website for information about financial aid or scholarships. Please visit the Transcripts web page for detailed information about ordering official transcripts. Grades are no longer mailed out via standard mail. Students may see their grades when they are available by logging into their college account on CLASS-Web. Please visit the Distance Education website for information about our online courses. Should you need technical assistance or a question answered about Distance Education, contact LPC Distance Education Support at LPCdistEd@laspositascollege.edu or 925.424.1142. Yes, counselors assist students with selection of courses in which they can succeed and which lead them toward their goals. Courses considered are based upon the student's assessed skills, their selected career and/or the institution to which they plan to transfer. Visit our Counseling website for more information. You can view the details of graduation requirements for an A.A./A.S. degree online. We also suggest you review the outline of degree requirements in our catalog. We suggest you review the outline of certificate requirements in our catalog. Call 925.424.1400 or Email Counseling or come into the Counseling Office in Building 1600. Where can I obtain assistance with studying, learning and physical disabilities? 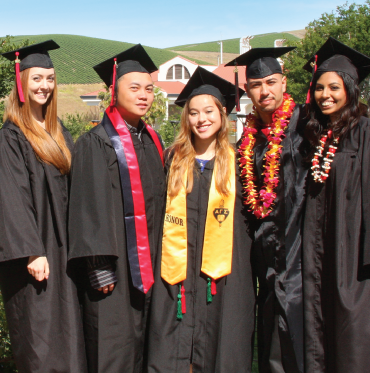 Las Positas College is committed to excellence and accessibility for all students. The Disability Resource Center offers academic and personal support for students with physical, communication, learning and psychological disabilities. Our goal is to encourage students to become independent and assertive participants in their own educational process. Accessibility in classes, facilities and in all services is our ultimate objective. The Extended Opportunity Programs and Services (EOPS) department assists low income and educationally disadvantaged students with achieving their educational and career goals. EOPS is a support program available for any full-time student who can benefit from a variety of extra services that promote academic success and personal growth. General Admissions & Records question(s)?